Have you been injured in a truck or bus accident? Fernando D. Vargas will fight for you. A truck or bus accident has the potential to result in serious injuries, whether you are in the truck or bus, in another vehicle hit by a truck or bus, or on foot, on a bicycle, or on a motorcycle. With more serious injuries involved than in your average traffic accident claim, there will be more serious compensation at stake as well. 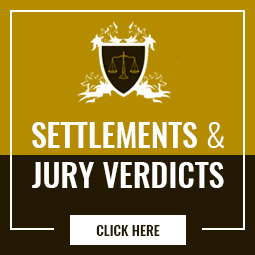 Don’t settle for an average traffic accident attorney. You need a truck & bus accident specialist like Fernando D. Vargas. Truck and bus accidents have the potential to involve complex legal issues. For example, what if the truck that caused your accident originates from another state or from another country? What if the accident was caused by something other than driver negligence, such as improper loading, overloading, inadequate maintenance, or defective parts? What if you need to sue a city or school district for a bus accident? As an experienced truck and bus accident attorney, Fernando D. Vargas knows the answers to these questions. He can help you stand up for your rights under the law. When truck or bus drivers cause accidents, their employers are liable. Typically, the company will call in their own attorneys and start a big investigation as soon as they hear about the accident, with the ultimate goal of discovering any possible way to limit or avoid liability and reduce the amount of compensation they must pay to victims. This swift and aggressive opposition is one of the biggest reasons that you need a truck and bus accident specialist like Attorney Vargas on your side. After beginning his career on the defense side of personal injury claims, Attorney Vargas understands all the strategies that the truck or bus company’s insurance provider and attorneys will try to use against you, as well as the most effective ways to fight back. He will not be intimidated by stiff opposition to your claim but will instead serve an aggressive advocate for your rights and interests in and out of court. Truck and bus companies have ample financial resources to use to defend against claims. If you had to pay your truck accident attorney or bus accident attorney out of pocket, this might give the corporations an unfair advantage. Fortunately, The Law Offices of Fernando D. Vargas offers no-risk representation to level the playing field. Assuming you have valid legal grounds for a claim, Attorney Vargas will take your case on a contingency fee basis. He will handle all the expenses associated with preparing your case for negotiations or court, and you will not have to pay one penny until after he wins your case. If we don’t win, you don’t pay. To learn more, please call us at 877-982-0707 any time, 24/7. Attorney Vargas will make time to have a free initial consultation with you ASAP.